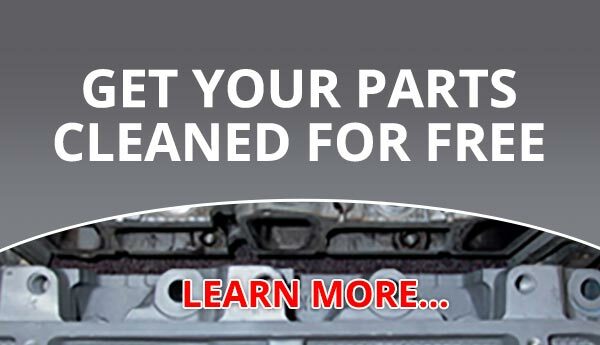 ARMEX offers free parts cleaning trials for our customers at our premier Rocky Hill Tech Center. The tech center utilizes our exclusive line up of ARMEX products developed by the makers of ARM & HAMMER™ cleaning products and features a variety of blasting equipment. At the conclusion of the cleaning trial, parts are returned for evaluation and a detailed report is provided explaining the cleaning processes used, the results of each trial, before and after pictures of the parts, and recommendations. Cleaning trials are a simple and convenient way for customers to explore ways to improve, reduce cleaning costs, eliminate hazardous chemicals and wastes, and reduce VOCs. If you would like to have your parts cleaned for free please complete the form below. We look forward to helping you find a better, safer and more cost effective way to clean your parts with ARMEX! Thank you for the opportunity.